Is camo a neutral? What do you think? Warm breezes, the smell of jasmine and wild flowers … who isn’t excited about spring finally arriving in all her glory, and summertime fun just around the corner? 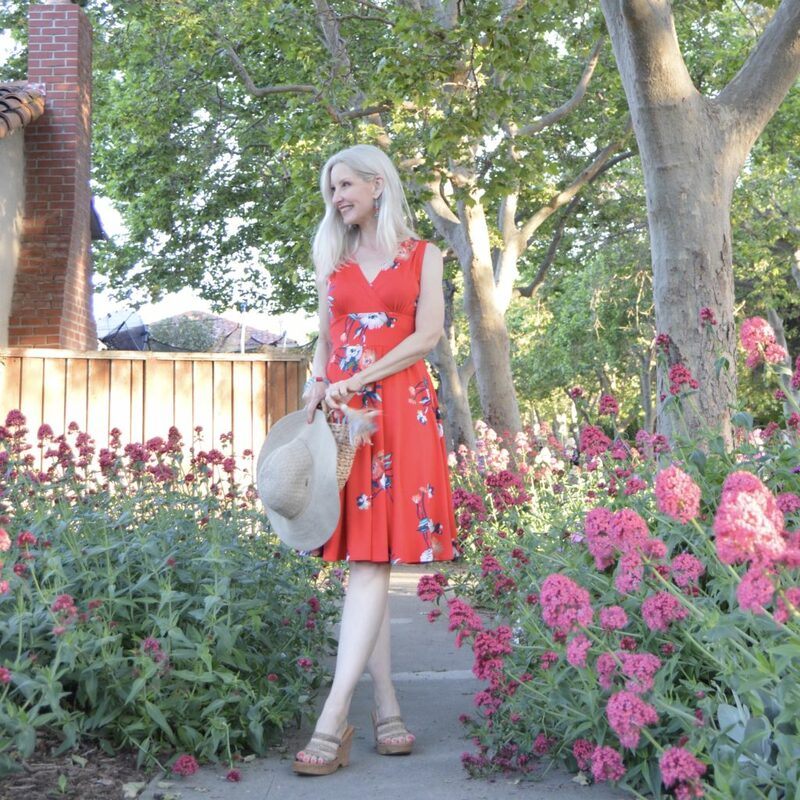 Of course you need the perfect dress to wear and celebrate the new season, like Karina’s Audrey dress in their Summertime Tango print! 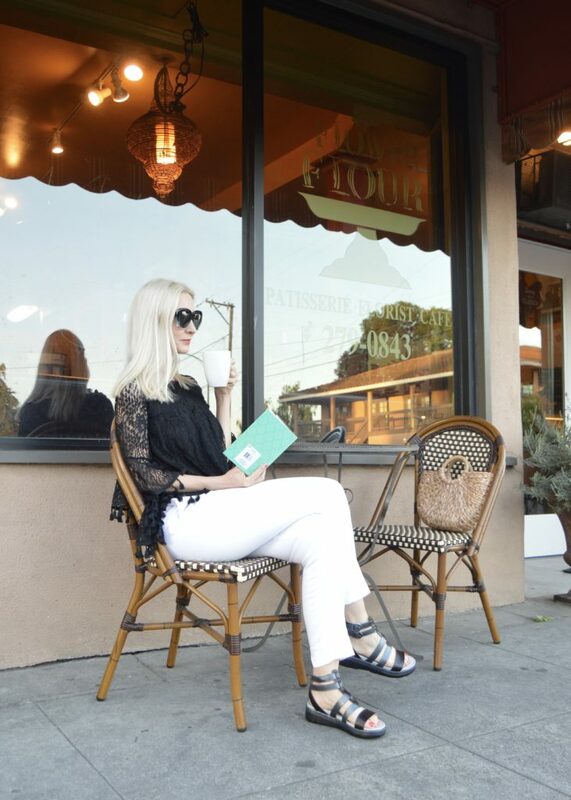 Every summer needs a pair of comfortable, wear-everywhere, go-to sandals and Jambu’s Piper is just that pair. This post is a collaboration with Jambu. All opinions are all my own. 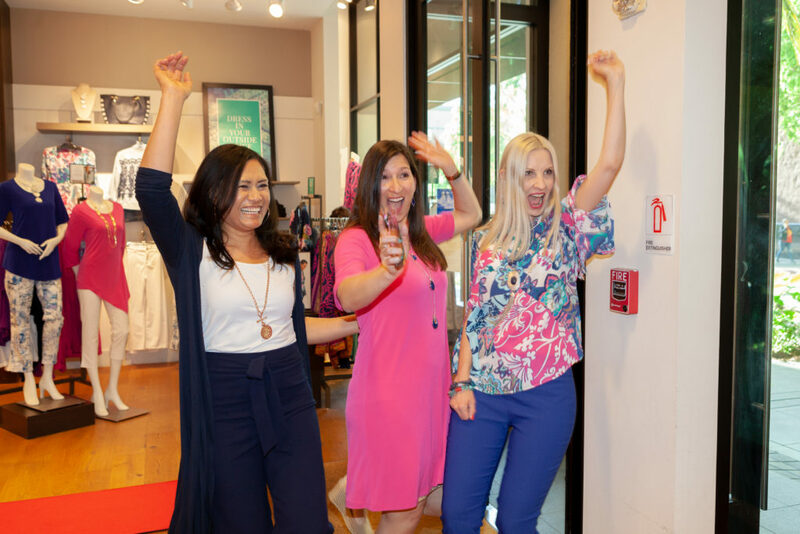 Last Thursday, Cathy of Bay Area Fashionista and I were honored to host a party at our local Chico’s store to celebrate Chico’s #HowBoldAreYou campaign. The new campaign celebrates women of every age living and dressing boldly. 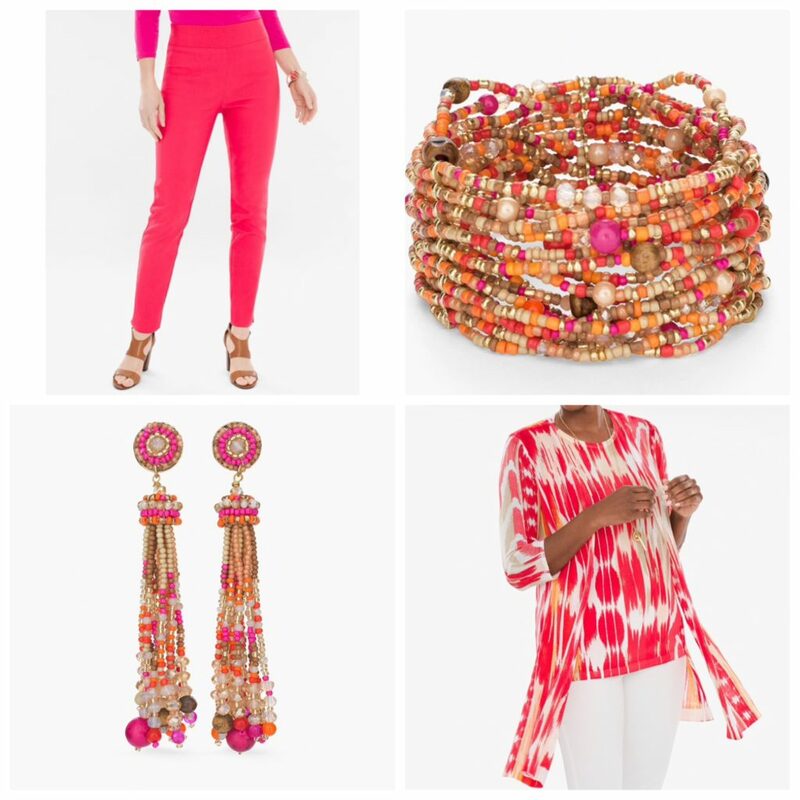 Chico’s spring collection is full of bold colors, fun patterns, and amazing accessories. This post is a collaboration with Chico’s. I love the kimono trend. 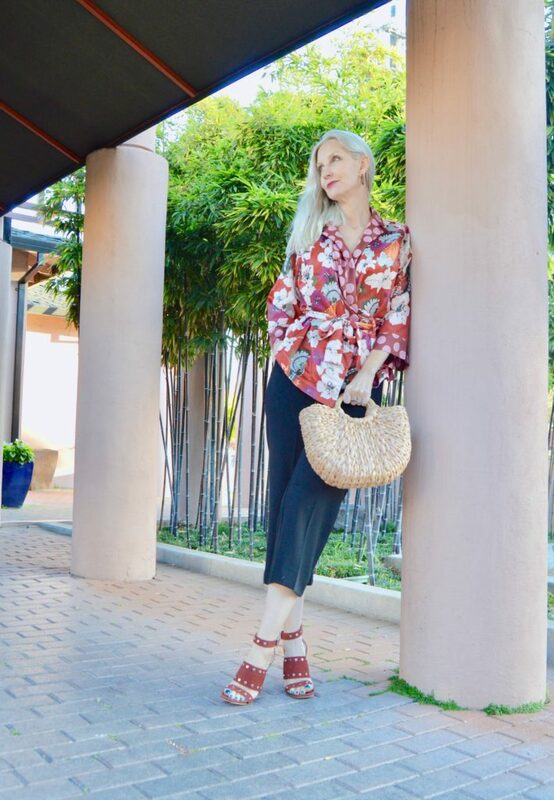 My favorite way to wear the kimono trend is with a long kimono left open and billowing! But when I saw this cute little kimono wrap top, I had to have it. The colors and mix of the floral print with the polka dots totally were calling to me. 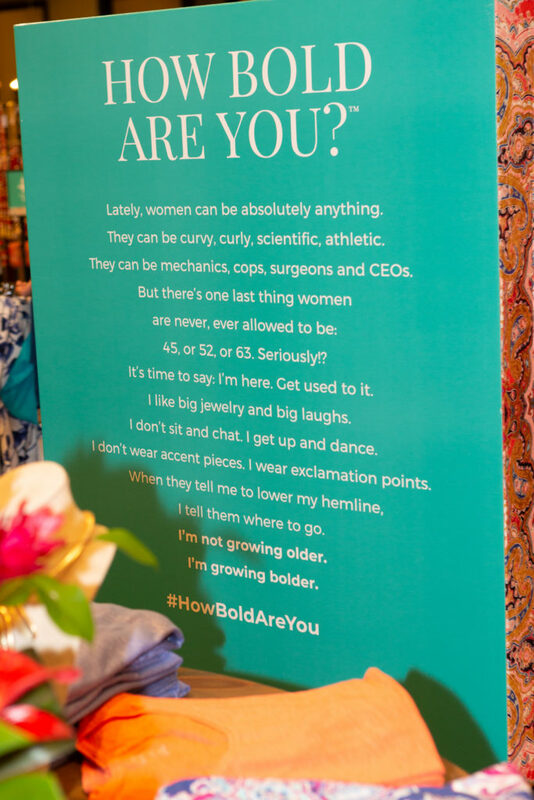 If you’re reading this on Thursday evening, I’m hosting the Chico’s “How Bold Are You” event at Santana Row in San Jose, along with Cathy of Bay Area Fashionista! 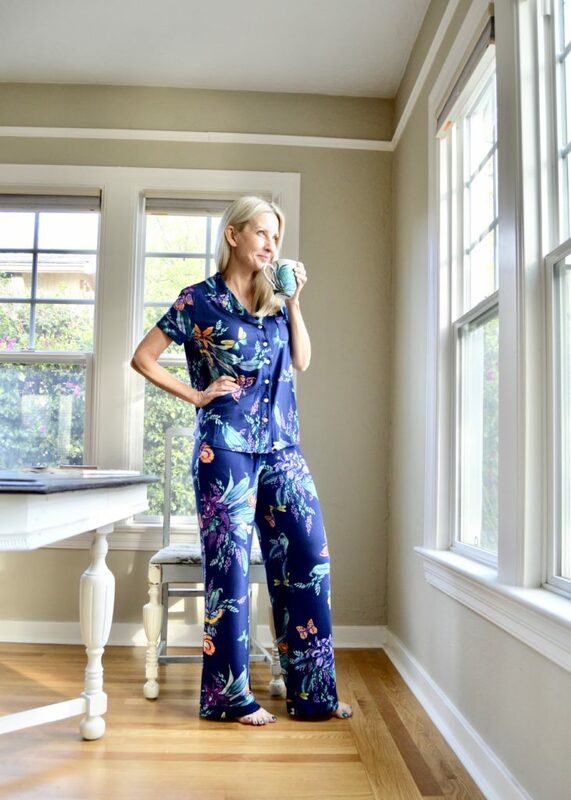 To celebrate I thought I would pick some bold stylish choices from Chico’s latest collection, along with a few bold looks from last week’s link up party!